Andrew Davies had been eyeing a Dundee debut in tomorrow’s crucial bottom-of-the-table clash with St Mirren. Dundee defender Andrew Davies has broken his foot for a second time. Having Andrew Nelson available for the weekend is the one bit of news Dundee fans were hoping to hear this week. Dundee have been given a massive boost by the news that striker Andrew Nelson will be fit for their crunch clash against St Mirren. 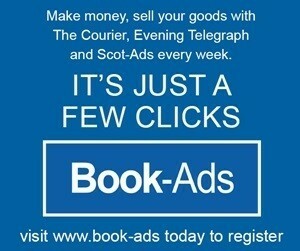 Andrew Davies is back in full training for Dundee, Courier Sport can reveal. The return of Andrew Nelson and Craig Curran for Dundee is unlikely to happen at Dens Park tomorrow. Dundee manager Jim McIntyre expects to be without his strike pair of Andrew Nelson and Craig Curran when his team host Hearts on Saturday. Dundee boss Jim McIntyre is sweating over the fitness of strike duo Andrew Nelson and Craig Curran ahead of Saturday’s vital league encounter with Hearts at Dens. Craig Curran is happy to share the workload with strike-partner Andrew Nelson. Dundee will attempt to pile the pressure on their relegation rivals by winning back to back league games for the first time this season tonight.